Asus showcased its two most impressive transforming laptops of Vivo series named Vivo Tab and Vivo Tab RT. Read reviews, specifications and price information here. A number of best Windows 8 Transforming Laptops have been announced during IFA 2012 event in Berlin. Vivo Tab and Vivo RT are also recently uncovered transforming laptops from Asus that are running on Windows 8 technology platform and showing many common features such as 2GB of RAM, NFC-ready, same display resolution of 1,366 x 768, two USB ports, a TrackPad, one secondary battery, NFC sensors and also attractive transforming ability with a full QWERTY keyboard. The Asus Vivo Tab, the reformed version of Asus 810 tablet laptop device owns 8.7mm thin body and weighs to 1.5 pounds. The convertible tablet/laptop features 11.6-inches touch screen IPS display with a screen resolution of 1,366 x 768 pixels 10-point multi-touch and Wacom digitizer input support. The Vivo Tab hybrid device also owns 8MP rear-facing autofocus camera with Flash for enjoying video recording. On the other hand a 2MP shooter up front also provided for photography and a NFC sensor. The tablet/laptop runs on upcoming Windows 8 operating system platform that enables the device to access both - traditional desktop applications as well as Modern UI/Windows 8-style, UI/Metro and many more apps via Windows store via its x86 architecture. The machine encompasses next generation Intel Atom CPU coupled to 2GB of RAM and 64GB of onboard internal storage. The transforming laptop device comes packed with a keyboard dock like ASUS Eee Pad Transformer for converting the touch-screen tablet to a full laptop experience for users and also having 2 USB ports and a TrackPad. The second battery option to boost up battery backup seems to be another impressive gift of Asus for its valuable customers. Though no official announcement for Vivo Tab price made from Asus, still the most anticipated price for this hybrid machine goes around $650 to $750. And about Vivo Tab release, the Asus machine will be released along with/after release of Windows 8 OS on Oct 26, 2012. Asus Vivo Tab RT, the reformed version of Asus 600 tablet designed to pitch more at users' mobile needs. The hybrid laptop machine has 8.3mm thin body and the Vivo RT machine is lighter 1.1 pounds than Vivo Tab. This Vivo RT hybrid laptop has smaller screen than Vivo Tab i.e., 10.1-inches of SuperIPS touch screen display with 1,366 x 768 pixels of resolution screen. The machine also supports SonicMaster Powered audio. Unlike Vivo Tab brother, Vivo RT also runs on ARM version of Windows 8 named Windows RT that has access to Metro apps and full Microsoft office. But the other traditional desktop applications can't run on the ARM-powered machines. The machine runs a quad-core Tegra 3 processor with a 12-core GPU like Eee Pad Transformer, also coupled to 2GB of RAM and 32GB of internal storage. The Vivo RT hybrid boasts of rear-end 8MP autofocus camera with LED Flash plus one 2MP shooter up webcam front and also having NFC sensor. The machine also has a secondary battery for providing more backup support to users and 2 USB ports for connectivity and a keyboard dock for transforming tablet to laptops. No official announcement for Vivo Tab RT price from Asus but as Windows RT machines sure to priced lesser than above Windows 8 machines hence Vivo Tab RT will be less costlier than Vivo Tab. About Asus Vivo Tab RT release, the machine will release along with or after release of Windows 8 on Oct 26 this year. In this article I have given all the details of some of the best and cheap Asus laptops available in India. I have also mentioned about all the features and specifications along with the price details of every individual laptop. Samsung has released its yet another Galaxy series which is a successor of Galaxy Note known to be 'Galaxy Note 10.1'.Read this article to learn more details about this tablet. Nokia has launched Nokia Lumia 820 officially. Here is Nokia Lumia 820 complete review, full specifications, exciting features and price in USA, India. So go on and have first look at Nokia Lumia 820 features, price and review along with specifications. You will get full features and technical details of Nokia 820 smartphone. Are you looking for top 10 upcoming Windows 8 hybrid laptops? Here you will find detailed information about latest Windows 8 hybrid laptop which was releasing on 2012. 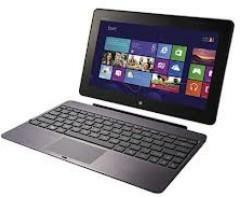 Go through this article to get the basic features of Top 10 upcoming Windows 8 hybrid laptops.